At any point in time, there are endless number of swaps or quilt alongs going on online. And what a fabulous way for those of us with similar interests to connect without leaving the comforts of our home! Most of us have time and/or monetary limitations that we just can't participate in every one out there, but I wanted to share a quilt along I started with and am looking forward to picking back up again. The Farmer's Wife Sampler Quilt was written by Laurie Hird. In the early 1920's the Farmer's Wife magazine asked their readers if they would want their daughter's to marry farmers in consideration of their own experiences. Laurie's book includes some of the response letters and the collection of 111 unique blocks is inspired by these letters. The Farmer's Wife Sampler Quilt book includes a CD of templates for each of the 6" blocks. Some are basic enough blocks that you can rotary cut as usual, others maybe best to foundation piece or use the templates as provided. I took my copy of the block and marked out the various sizes of HSTs needed for each block by color coded page tabs and have been using Thangles. Marti Mitchell also has a set of acrylic templates available which I plan on trying for the trickier 5 patch blocks. There is a fabulous Farmers Wife Quilt Along group on flickr. 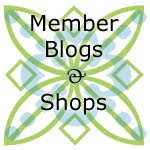 It was started over a year and half ago so you may certainly have seen some of the buzz on quilting blogs about this group already...but there is a lot of helpful information on many different blocks in the discussion threads. Also, there is a Farmer's Wife Sampler yahoo group... I believe there are some paper piecing templates available through this group. For me this quilt along has been a great way to use precious scraps of some of my favorite fabrics. I am pairing them with a stack of Basic Grey basics as my backgrounds for an even scrappier look with the multi-toned graphic/text prints. To keep myself organized while making these blocks, I made 6 of Lori Holts' mini design boards. I think this quilt along is a fabulous skill builder, so many different blocks that can be done so many ways and you can make however many of the blocks you want to use them however you wish... If you passed on this quilt along when it first hit the webs, maybe it's worth a second look? And of course, what is so nice about online quilt alongs...much of the information is out there for whenever you choose to start or finish. The paper piecing templates in the yahoo group are fabulous! I made most of my blocks using these. It's such a great quilt along, and I had so much fun making the blocks - I'm almost tempted to make another set! Hi my name is Raymond and I am trying to find someone to help me. My is doing the farmers wife quilting book, and is learning to do it at a Craft Church Group, and I was wondering if you could help me get them for her. She was told that if she owns the book she could print them from a site on the internet, I have been on every site and have been unable to find them. I would gladly join your group if you could help me, she is having so much fun doing it and is keen to do more and more all the time. It dos my old heart good to see her having so much fun. If you could help me I would grateful. If you will you can contact me on. rayedna1@optusnet.com.au Thank You So Much, I am convinced she would love to join your Group.